Potassium is one important mineral that helps maintain the electrolyte balance in the body. And being the third most abundant mineral in the body, it also is essential for the functioning of the heart, kidneys, brain, and the muscular tissues. 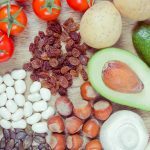 In this article we will look at the top 15 potassium-rich foods and their benefits. Insufficient levels of potassium in the blood (also called hypokalemia) can cause severe headaches, heart palpitations, and other complications – and avoiding all of those is important. Well, this begs one important question. How much of potassium do we need to take? What Is The Recommended Daily Allowance Of Potassium? The adequate intake of potassium is 1600 to 2000 milligrams per day. This includes the potassium you get through foods and supplements combined. One great way to meet this requirement is by taking foods rich in potassium. What Are The Potassium-Rich Foods? A cup of white beans contains 3636 mg of potassium and 673 calories (meets 104% of your daily potassium requirement). 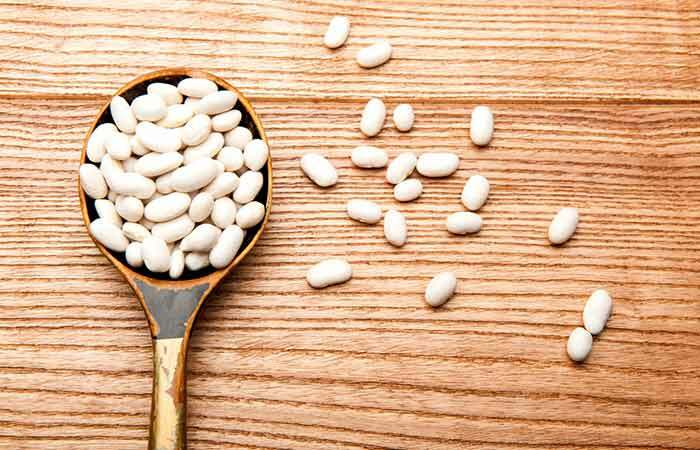 White beans are also a great source of fiber and folate – while the former improves digestive health, the latter is good for brain health and is crucial during pregnancy as well. You can add white beans to your evening soup. As per a study conducted by Purdue University, adequate dietary intake of potassium can also slow down the progression of kidney disease (1). A serving of dried apricots contains 65 mg of potassium and 120 calories. You can add them to your oatmeal, breakfast smoothie, with a handful of almonds, or evening fruit salad. A cup of beet greens contains 1309 mg of potassium and 39 calories (meets 43% of your daily potassium requirement). The zinc in beet greens helps boost immunity. It also strengthens your hair. Beet greens can be added to your evening vegetable salad. A cup of prunes contains 290 mg of potassium and 100 calories. Also being a great source of vitamin A, prunes help boost vision health and prevent eye ailments like dry eyes and macular degeneration and cataracts. Prunes also help with normalizing bowel activity during constipation. You can add prunes to your fruit salad or morning smoothie. Or best, you can even eat them as they are. A cup (30 g) of spinach contains 167 mg of potassium and 7 calories (meets 5% of your daily potassium requirement). Spinach is also an excellent source of iron (who doesn’t remember Popeye, the Sailor?) and calcium. Iron boosts hair health and prevents fatigue and anemia, while calcium supports bones, teeth, and cardiac muscle. The iron and calcium in spinach are made available with the addition of an acid (such as lemon, vinegar, or tomato sauce) and some oil (olive, avocado, or grapeseed). Simply add spinach to your vegetable salad. Or you can even add the leaves to your breakfast toast. Wilted spinach in a smoothie can be another good addition to your diet. An avocado contains 975 mg of potassium and 322 calories (meets 28% of your daily potassium requirement). A typical serving is about ¼ of an avocado. 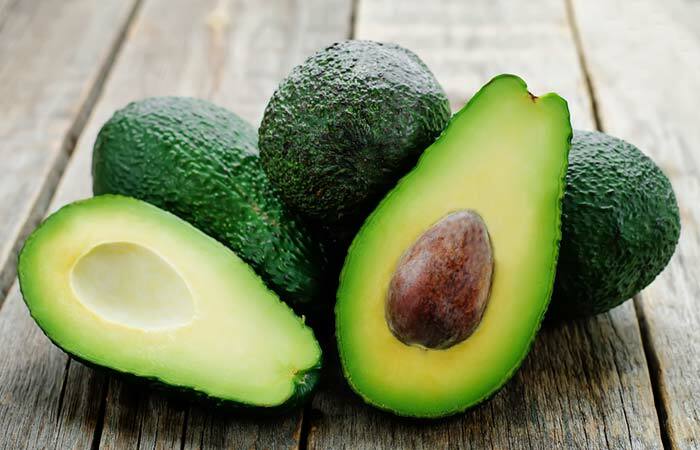 Apart from being rich in potassium, avocado is the only fruit offering a good amount of the healthy monounsaturated fatty acids (which are known to reduce cholesterol levels and protect the heart). You can eat the fruit as it is or slice it and add to your breakfast toast. Half a fillet of salmon (about 3 ounces) contains 392 mg of potassium and 180 calories. Probably the greatest benefit of salmon is its omega-3 content, which is known to fight inflammation and improve the health of your heart, brain, skin, and hair. You can include salmon in salads or with cooked grains and vegetables for dinner. One large banana (136 grams) contains 487 mg of potassium and 121 calories (meets 14% of your daily potassium requirement). Bananas also offer an excellent energy boost. And the fiber in them improves digestive health. You can simply have a banana with your morning breakfast or in the evening as a snack. Even a banana smoothie would work great. 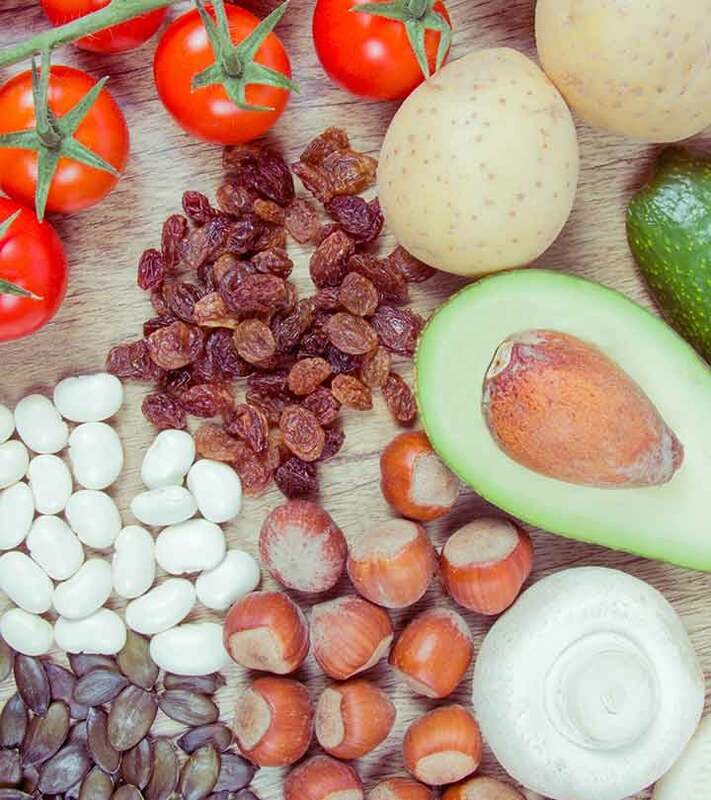 According to a report by the Colorado State University, potassium is also required for muscle contraction and the proper communication between muscles and nerves (2). A cup of sweet potatoes (133 g) contains 448 mg of potassium and 114 calories (meets 13% of your daily potassium requirement). Given that sweet potatoes are low in glycemic index and high in fiber, these veggies can work great for improving diabetes conditions too. A ½ cup serving is generally recommended. You can prepare your favorite curry using potatoes. Or chop and add them to your evening salad. A cup of acorn squash cubes contains 896 mg of potassium and 115 calories. Apart from also being rich in fiber (that boosts digestive health), acorn squash is a great source of antioxidants – which prevent DNA and cellular damage and fight inflammation. You can simply cut the squash into cubes and add to yogurt for dinner. 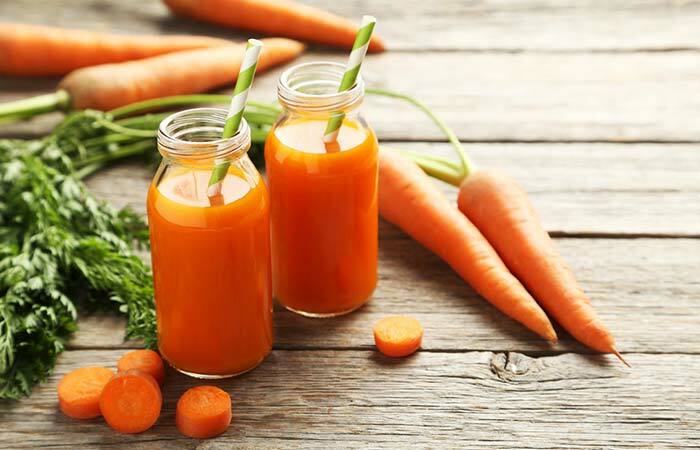 One cup of carrot juice (236 g) contains 689 mg of potassium and 94 calories (meets 20% of your daily potassium requirement). Since even vegetable juices can be high in sugar, it is best to limit to ¼-½ cup in a serving. A cup of coconut water (240 g) contains 600 mg of potassium and 46 calories (meets 17% of your daily potassium requirement). Coconut water is also known to lower blood sugar levels, thereby benefiting diabetics. The water also lowers blood cholesterol levels, and this can promote heart health as well. Coconuts are found in abundance – have coconut water every day. A pomegranate (282 g) contains 666 mg of potassium and 234 calories (meets 19% of your daily potassium requirement). Pomegranates are also a rich source of flavonols, antioxidants that help fight inflammation and related conditions like arthritis. These antioxidants in pomegranates can also improve memory. You can have pomegranate seeds along with yogurt – that would make for a great afternoon snack. A container of plain whole milk yogurt (227 g) contains 352 mg of potassium and 138 calories (meets 10% of your daily potassium requirement). It contains probiotics that improve your gut health. It is high in calcium as well and can help prevent bone diseases like osteoporosis. And the protein in yogurt aids the proper development of the body. You can have yogurt by itself or add fruits to it – it would make for a tasty treat during dinner time. A cup of Swiss chard (36 g) contains 136 mg of potassium and 7 calories (meets 4% of your daily potassium requirement). Swiss chard is also replete with antioxidants that have anti-aging effects. It also contains high levels of betalain, an important compound that boosts brain health. You can simply include Swiss chard in your vegetable salad every evening. So yes, why are we talking about these foods? Is potassium so important? Why? What Are The Benefits Of Taking Enough Potassium? The most important benefit of potassium-rich foods is improved heart health. Potassium ensures your heart rhythm is healthy. It also lowers blood pressure, and this can prevent heart attacks. Here are the benefits in a little detail. Potassium plays an important role in maintaining heart rhythm. 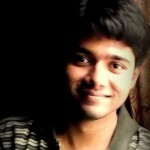 It also reduces the risk of stroke, as per studies. Research also shows that a diet high in potassium can help lower blood pressure, which is another major contributor to heart disease. Potassium-rich foods also lead to reduced muscle cramping and increased muscle strength. The mineral also helps alleviate cramps associated with premenstrual syndrome. Increased potassium intake has also been associated with a reduced risk of osteoporosis – the mineral helps preserve bones and prevent bone-related issues (3). Cellulite is caused by the stretching of the elastic tissue with a fat layer beneath – and potassium helps flush out the excess fluid from the cells. This, along with a low-fat diet and exercise, can help reduce cellulite. Potassium also helps your body process and utilize the carbs you consume. This invariably boosts overall health. We don’t have to reiterate the importance of potassium. When the mineral is abundantly available in the everyday foods that you consume, we guess there is no reason for one to be deficient in it. Do tell us how this post has helped you. Just leave a comment below. What are the dangers of potassium deficiency? Also called hypokalemia, low levels of potassium can lead to weakness, abdominal cramping, constipation, and palpitations. Chronic hypokalemia can lead to serious problems of the heart and nerves. What are the effects of consuming excess potassium-rich foods? Known as hyperkalemia, high levels of potassium can lead to tiredness and palpitations. In extreme cases, hyperkalemia can lead to heart failure. 1. “Potassium and health”. US National Library of Medicine. 2. “Potassium good for heart, bones and muscles”. Colorado State University. 3. “Potassium salts aid bone health…”. ScienceDaily.